What type of bird are you? 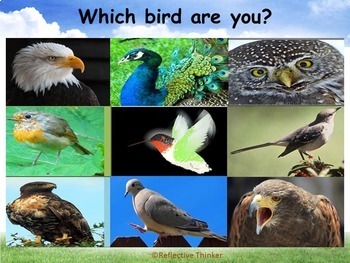 In this fun resource, students connect their personalities to the attributes and traits of birds. 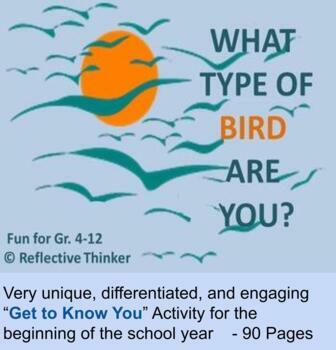 The resource contains 27 differentiated informational texts about birds. Each informational text is written on three different levels. Each engaging text contains two paragraphs. The first paragraph includes interesting information about each bird. The second paragraph connects the bird to a personality type. The birds included are as follows: eagle, owl, dove, hummingbird, mockingbird, buzzard, hawk, cuckoo, and peacock. The differentiated content passages were designed to help teachers meet their students’ diverse learning needs. 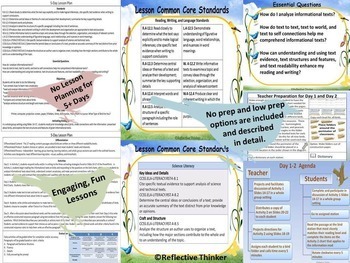 Furthermore, the resource includes a well-organized five day lesson plan, a variety of printables, and five engaging activities that appeal to auditory, visual, and kinesthetic learners. The resource can be printed for a literacy center in reading, science, language, writing, or character education class. Another option is to project all or some of the resource. A preview is available. 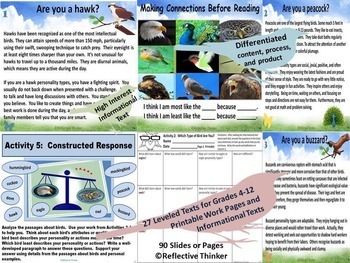 Lesson Plans and Activities 27 Differentiated Informational Text on Birds is licensed under a Creative Commons Attribution 4.0 International License.